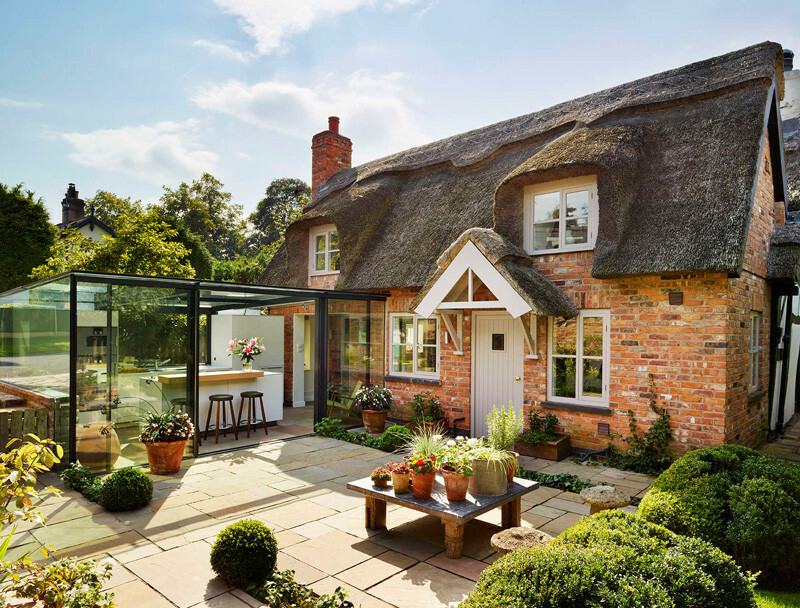 When the owners of this thatched cottage in Knutsford, England, wanted to add an extension to their home, they asked Alex Saint of bulthaup by Kitchen Architecture, to work with them to come up with an idea. 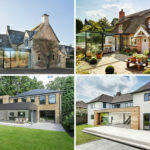 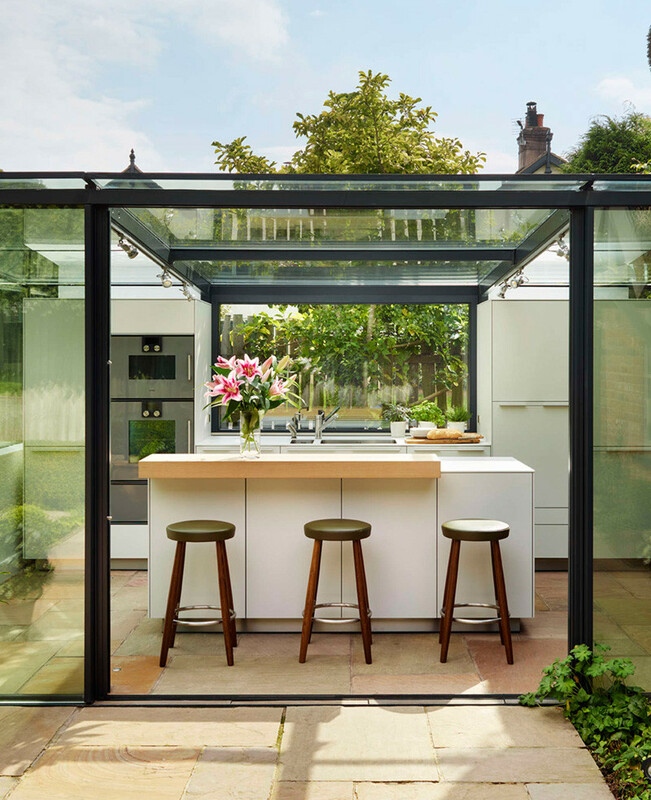 As the cottage is Grade II-listed, the homeowners and designer had to work with the local planning department to find a suitable solution that would respect the original cottage. 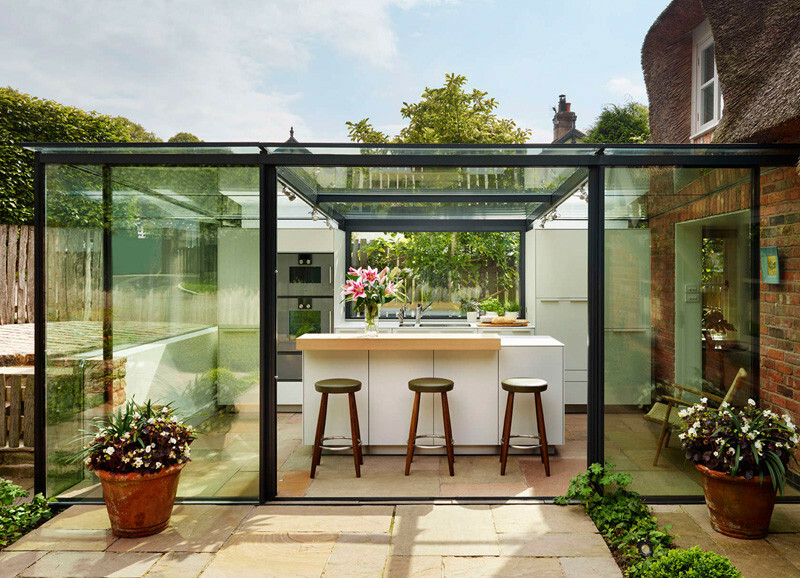 The idea was to create a glass box that wouldn’t change the original home, but at the same time, add a unique design aspect to the home. 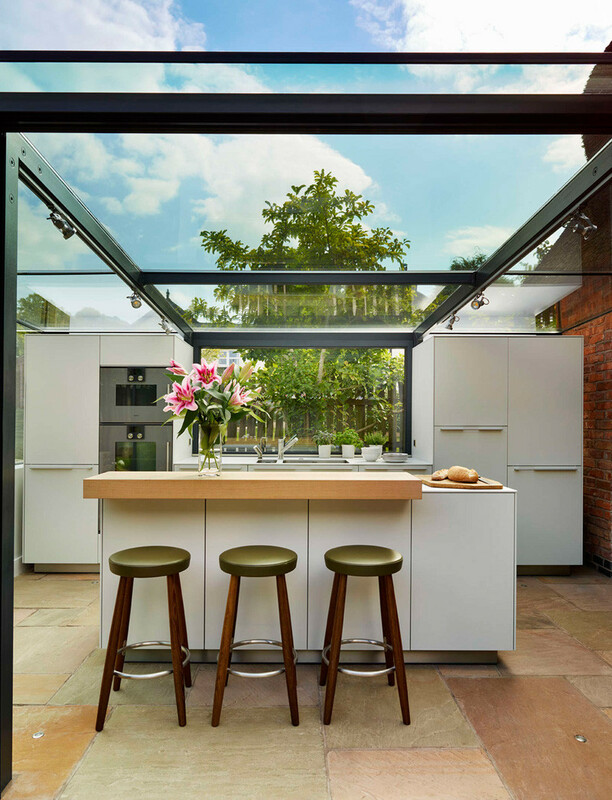 The glass extension houses the home’s new kitchen, a Bulthaup kitchen, that has plenty of storage and places for bar seating. 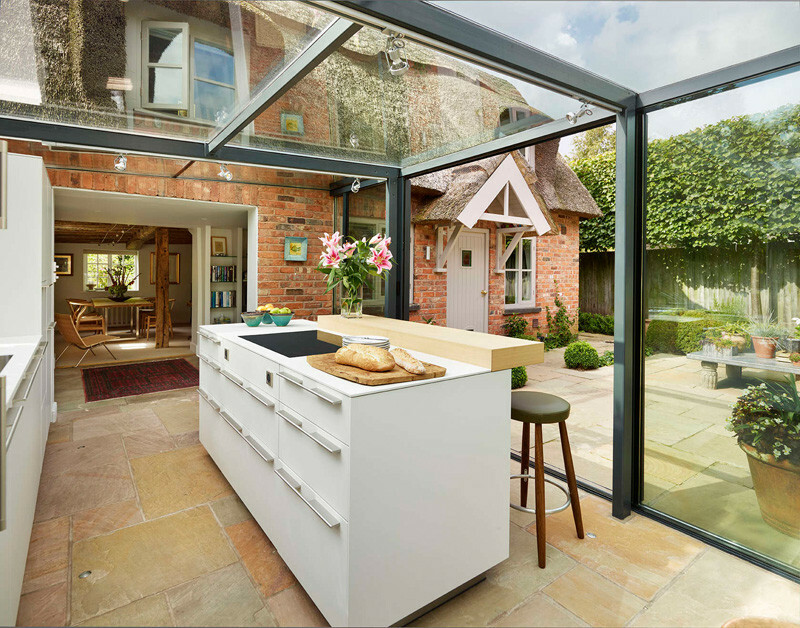 With the walls made of glass, it seems like you’re just cooking in the garden, with views all around. 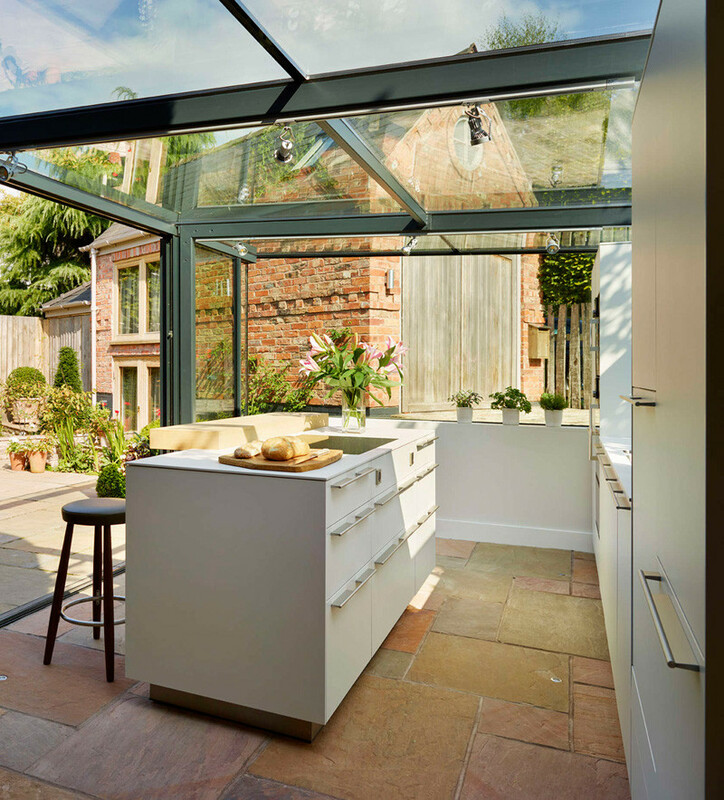 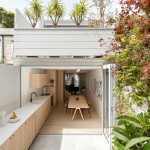 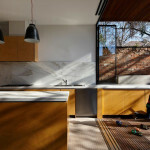 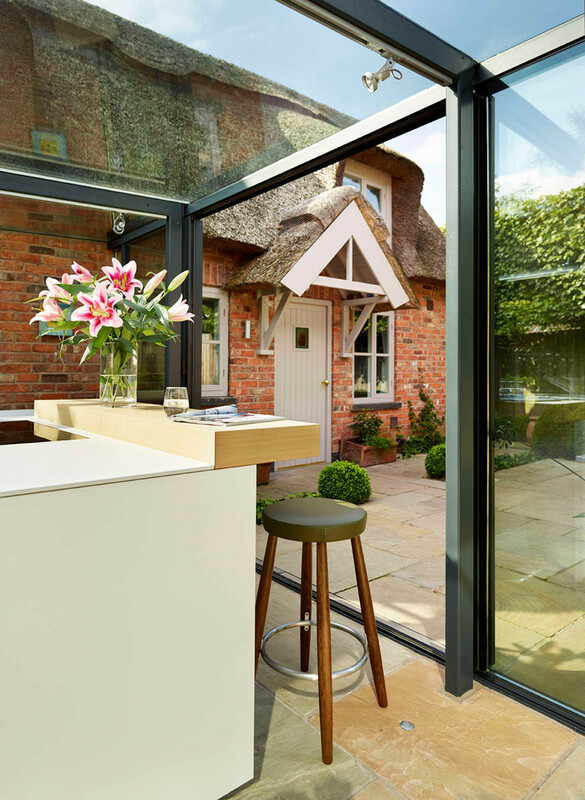 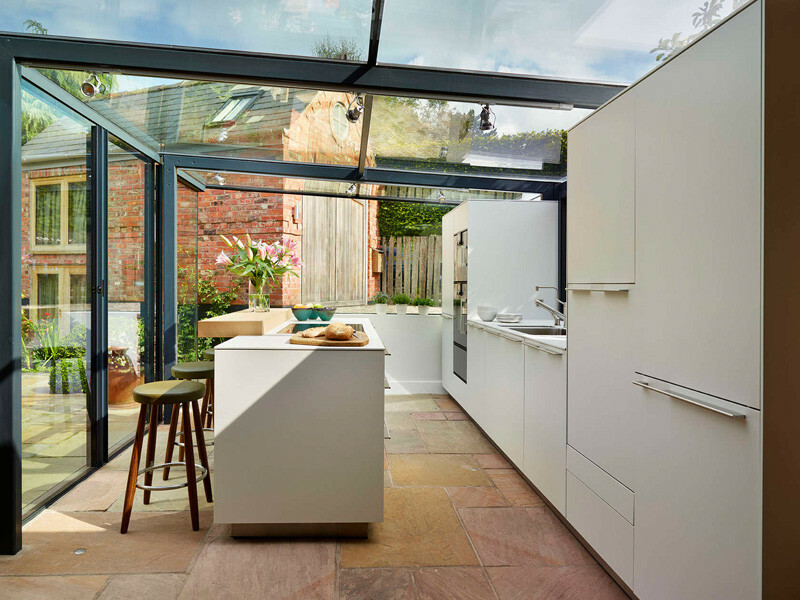 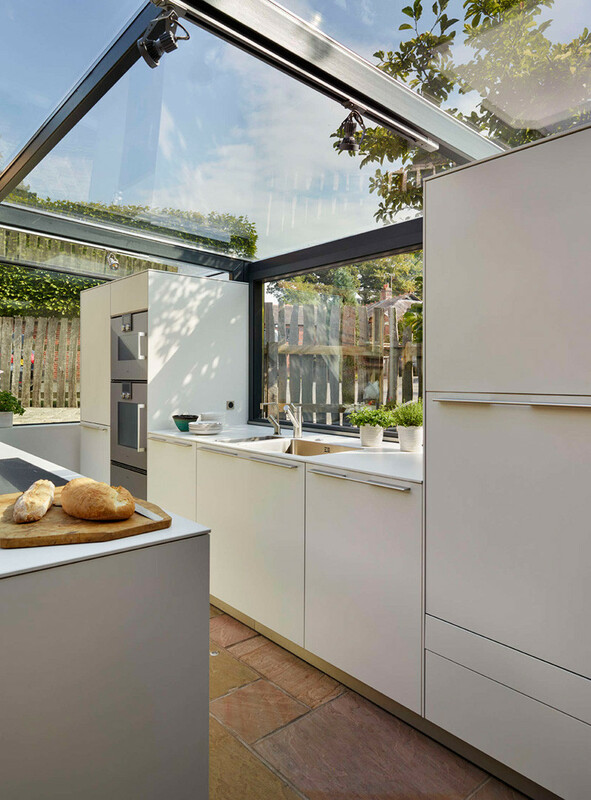 The extension has large sliding glass doors that open the kitchen to the garden.